← How to SET the value for a parameter in PageFlow scope and how to READ the same value in the PageFlow scope. 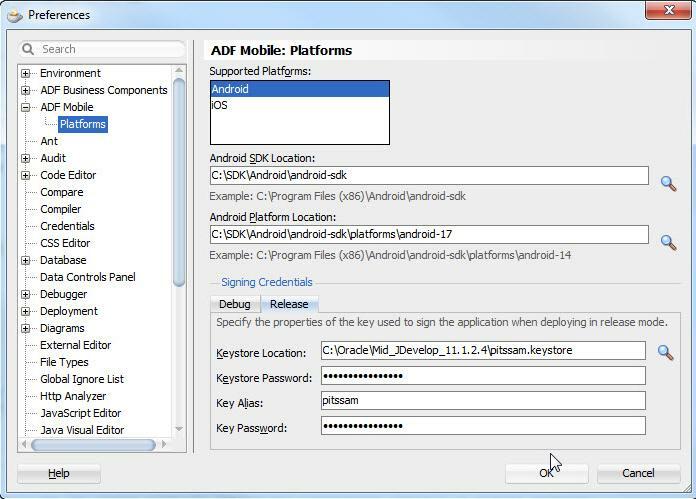 If you have begun developing mobile apps with ADF Mobile on Windows, you have already begun deploying onto the Android Emulator and/or a physical Android Device on hand. To speed up the deployment process and overall performance of the ADF Mobile app, deploy your apps using Release Mode. Overall, you’ll never get the android emulator to run like a physical device or like the iOS emulator, but you can improve the performance of apps by deploying them in Release Mode. Below are steps to get your Android Apps running in Release mode (developed on a Windows PC). Essentially, you’ll be creating a self-signed certificate with Java’s keytool command and deploying apps based on your self-signed certificate. Open your command-line utility on Windows. Add the %JDK_Home%/bin directory to the front of your PATH environment variable. Note: the JDK Home should be the JDK Home which your JDeveloper is using. 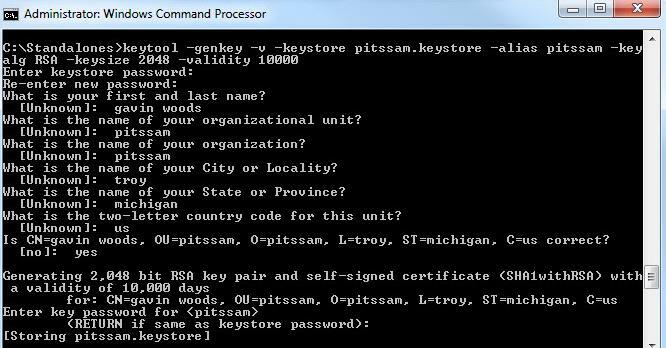 Replace %keystore_name% with the actual filename that you want to specify for the keystore. Replace %Alias_Name% with the alias name you want to specify. Since it’s a self-signed certificate, you can name this whatever you want. You’ll be prompted to specify keystore passwords and additional certificate fields. When you’re prompted to enter an alias-key password, just hit enter to have the alias-key password setup to be the same as your keystore password (It keeps things simple). Key Password: If you hit enter when prompted to enter a alias-key password and didnt enter any values, use the Keystore Password value. Otherwise, enter what you put for the alias-key password. 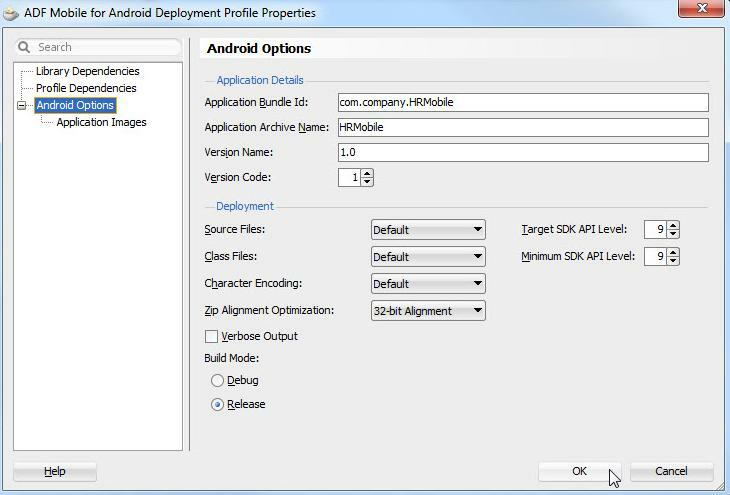 Go to your Mobile Application’s Deployment Profile Properties window. Click on Android Options. Switch Build Mode from Debug to Release. Click OKto apply your changes. Deploy your Mobile application into Android emulator or mobile device. This entry was posted in ADF Mobile and tagged ADF Mobile, Android, emulator, Jdeveloper, Release Mode. Bookmark the permalink.